1. Where does your e-waste go after you drop it off at a free TechCollect site? 2. What is first stage recycling in Australia? 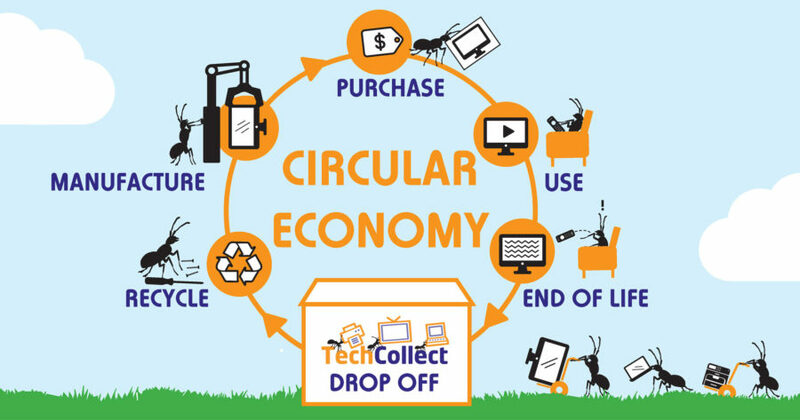 TechCollect’s Australian recycling partners complete the first stage of the e-waste recycling process. This involves the dismantling, shredding and sorting of electronic devices into various parts and materials including glass, metals, plastics, batteries, printed circuit boards and ink cartridges and toners. These materials and parts are then sent to specialist processing facilities to undergo further processing. Some of these facilities are based in Australia but some are overseas. To ensure that collected e-waste is not illegally exported to developing countries we closely work with our recycling partners to track where these materials and parts are sent. These materials are sent to approved recycling facilities in Asia. 3. What happens during second stage recycling? A number of Australian recyclers can perform second stage recycling where the separated materials and parts can be processed into new products. Australia does not have the infrastructure in place to further process plastics, some metals and computer parts such as printed circuit boards, meaning they must be sent overseas for responsible recycling. Downstream vendor due diligence and material traceability is a key priority for TechCollect. We check this through our annual mass balance audit over our Australian recycling partners as well as via independent audits conducted by Environmental Resource Management every three years to ensure compliance to AS/NZS 5377:2013 and HSE legislation. We are actively lobbying for downstream end-markets to be developed in Australia to eliminate the need to send materials and parts overseas. Batteries from laptop computers can be processed to ensure metals and plastics can be separated out and used in new products. In Australia, the steel can be recycled into new steel products and the plastic is used to make asphalt. The graphene is sent overseas where it is used to make new batteries and the copper and aluminum is sent overseas for processing into metal alloys. To encourage a circular economy, we are actively lobbying for the development of local markets for recycling and for the use of recycled materials. In June 2018 we submitted our Consultation Paper, responding to the Department of the Environment and Energy’s review of the Product Stewardship Act 2011, under which we operate.